This is an old post. I am just updating pictures. Sometimes when I go through old posts, either I laugh about how my writing was so disconnected or I’m just stunned. I am not going to delete it because those comments are connected to the content that I was writing. We all grow in every aspect and I am happy when it comes to my blog that it is drastically noticeable. Drop pasta in a boiling hot water that you previously added salt. Cook according to the package, but do not overcook (10-12 minutes). 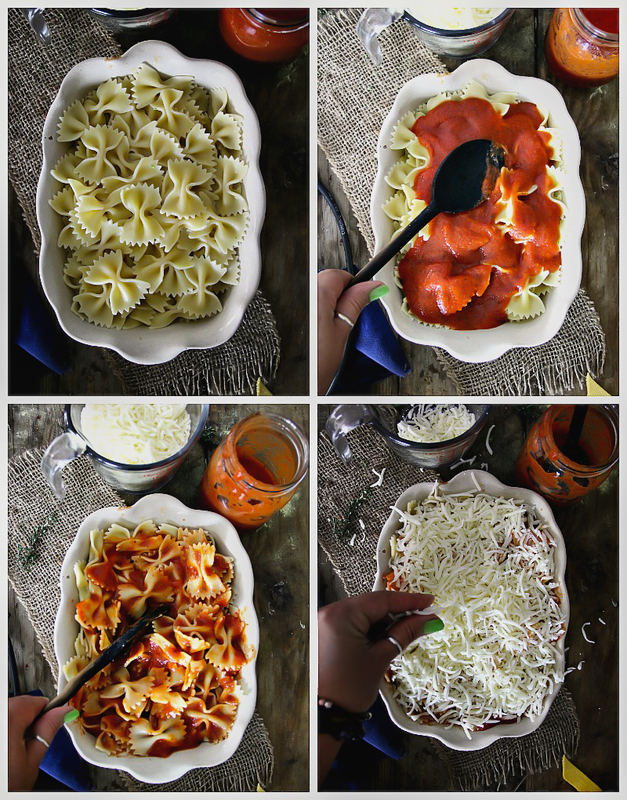 Add pasta in the oven safe baking dish, and pour pasta sauce/marinara sauce etc. Over the pasta. Mix so all the pasta is equally coated. Drizzle olive oil. Add cheese and Bake for 10 minutes or until the cheese is melted and bubbling up. Wash the broccoli and cut off the root, leaving florets on the side. Bring a pot of water to a rapid boil. Add half of a tablespoon of salt. Add the broccoli florets and cook until crisp-tender, 40 -60 seconds. Remove with a slotted spoon and plunge immediately into the ice water. 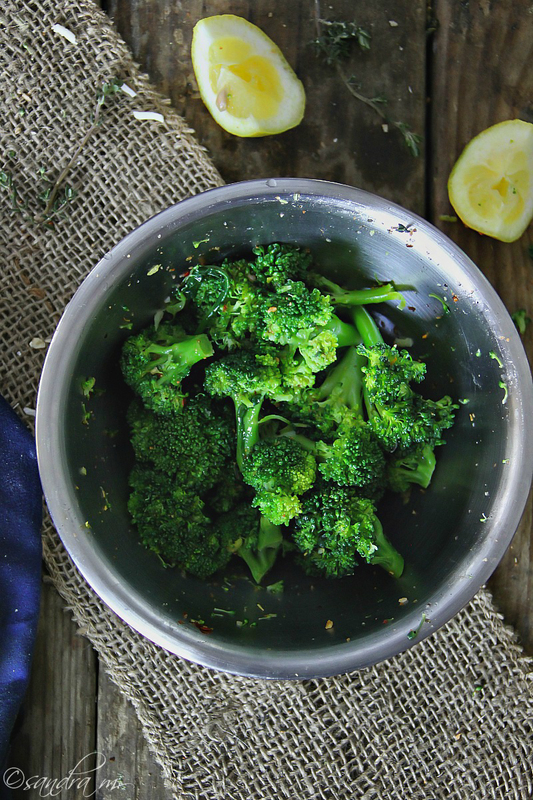 Transfer broccoli florets in the mixing bowl and dress it with lemon juice, olive oil and a few pinches of Seasoning. Toss it until it is well coated. 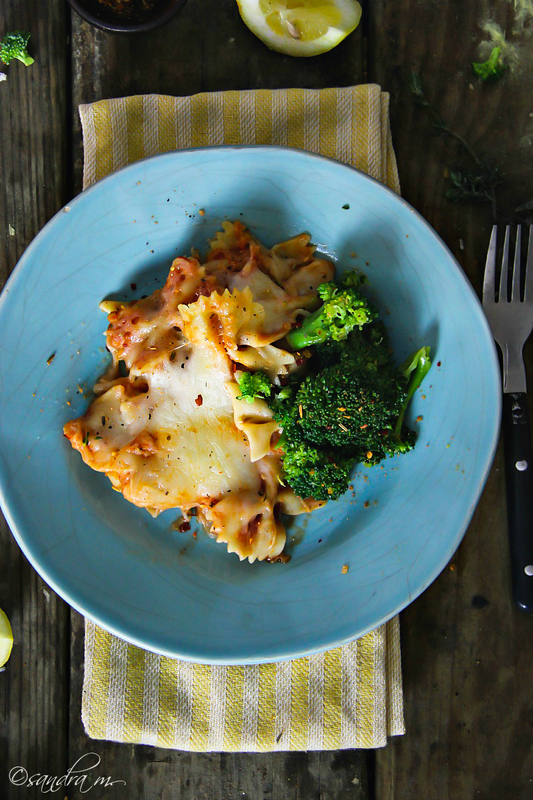 Serve baked pasta with broccoli on the side. If you'd like to microwave it, place pasta in microwave safe dish and let it cook for 3-5 minutes, depending on your microwave. Cheese needs to be completely melted. You can add to pasta if desired: cooked/grilled chicken, sauteed ground beef, mushrooms, cooked peas etc. You can use any other seasoning for the broccoli.